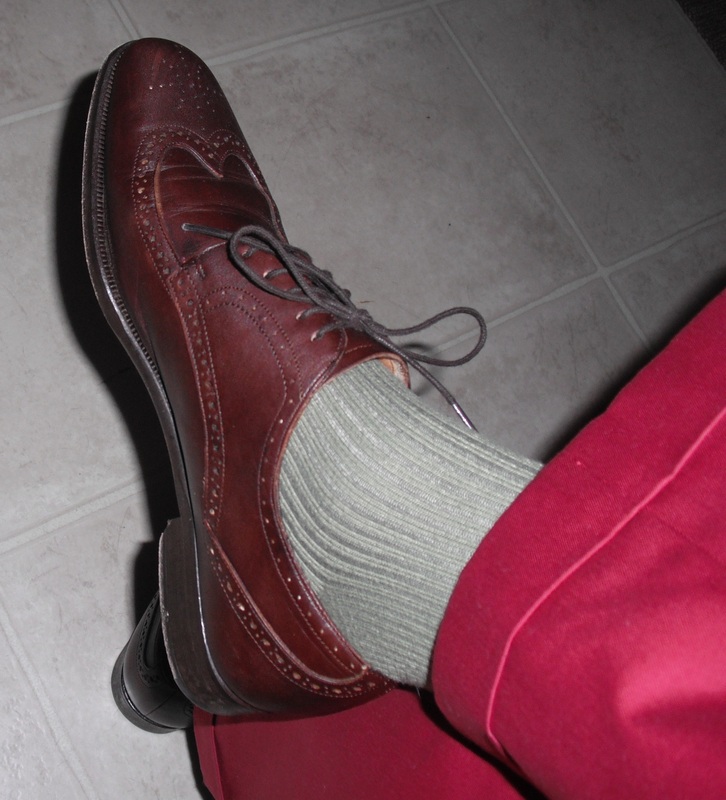 Brown wingtip dress shoes are by Saks Fifth Avenue. 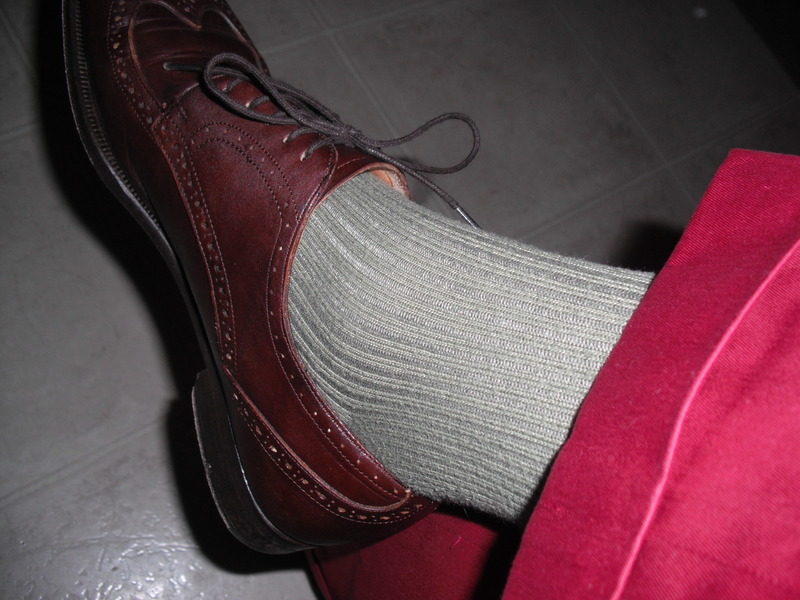 Olive cashmere ribbed dress socks is a Macy’s store brand. Cranberry trousers are by Saks Fifth Avenue. 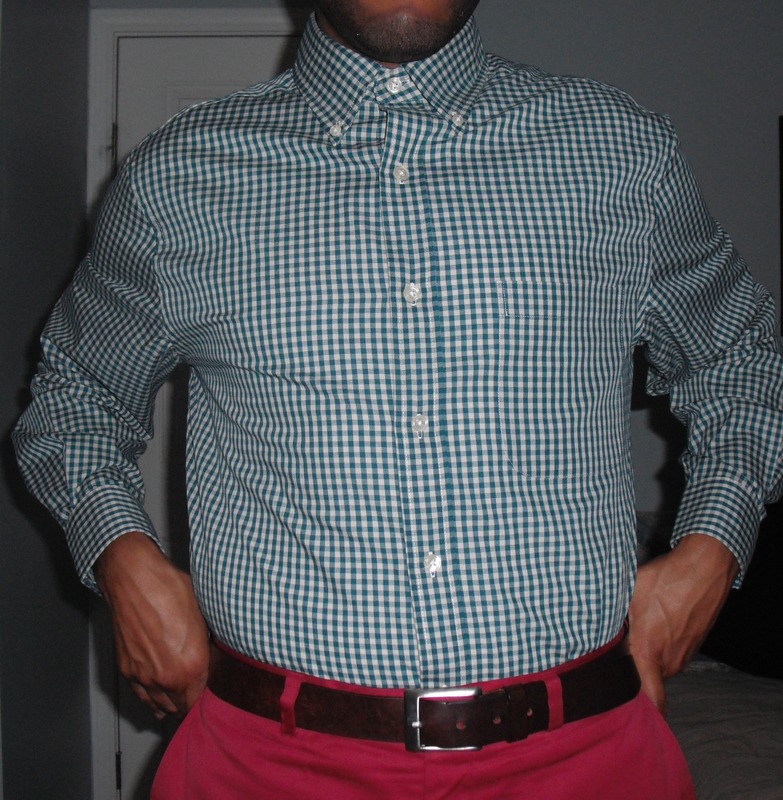 Forest green and khaki gingham button down dress shirt is a Belk’s store brand. 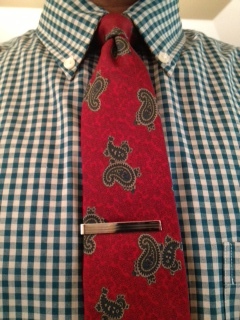 Cranberry and forest green paisley tie is a thrifting find. Tie bar is from Banana Republic. Tan suit jacket with notch lapels and side vents, is by Tommy Hilfiger. 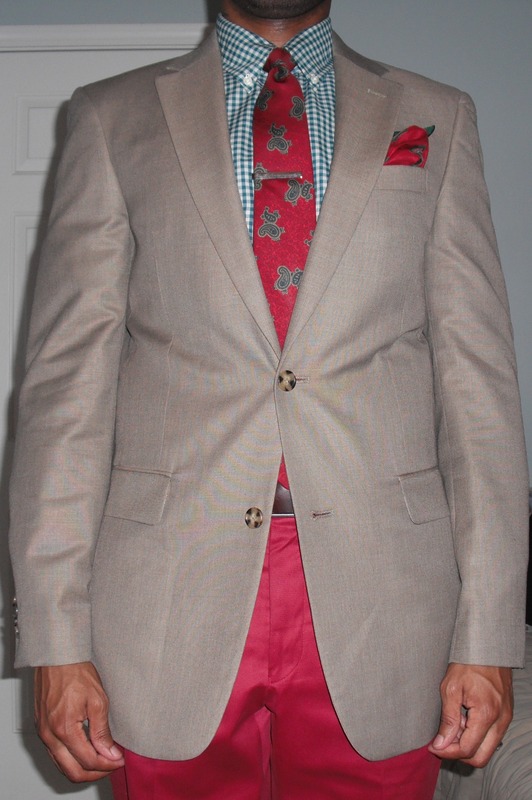 This is a new purchase (entire suit was $80), but I absolutely must change the buttons. They are probably the ugliest buttons I have ever seen. I have no idea what Tommy was thinking with those buttons. The next time you see this piece, or the entire suit, expect to see new buttons added. 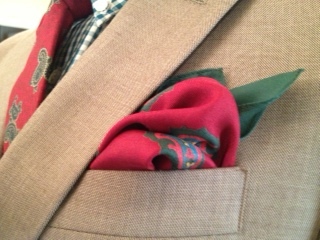 Cranberry and green paisley pocket square is also a thrifting find. 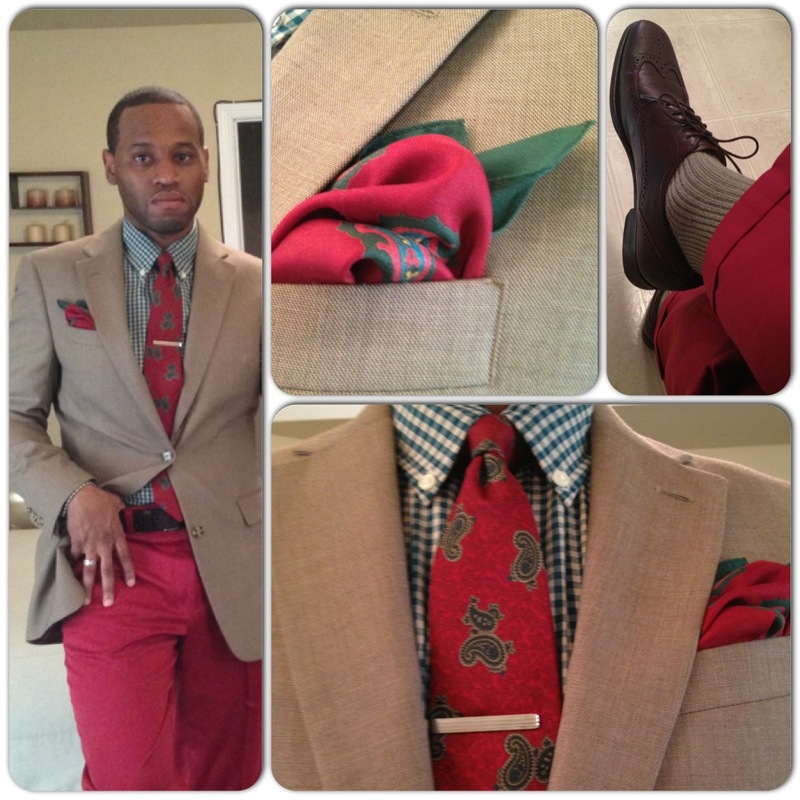 This entry was posted in Uncategorized and tagged Banana Republic, cashmere socks, Charlotte Style, Cranberry pants, gingham button down, Hilfiger suit, Mens fashion, mens style, Menswear, Paisley tie, red pants, ribbed cashmere, ribbed socks, Saks Fifth Avenue, Saks Fifth Avenue wingtips, Tommy Hilfiger, Wilbur Dow by wilburdow. Bookmark the permalink.